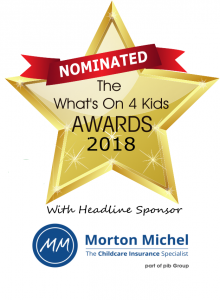 diddi dance are excited to say we are nominated for two What’s On 4 Kids Awards 2018! These awards celebrate the UK’s best children’s clubs and classes, along with leaders and volunteers, party providers, places and activity-based products for children – as nominated and voted for by the experts – parents, carers and parents-to-be. If you can spare a minute please vote for us then wish us luck for a win!